Available on Google Play, and in the App Store. The only cross-platform Pineapple OFC available! The cards are tagged with the order they were dealt. 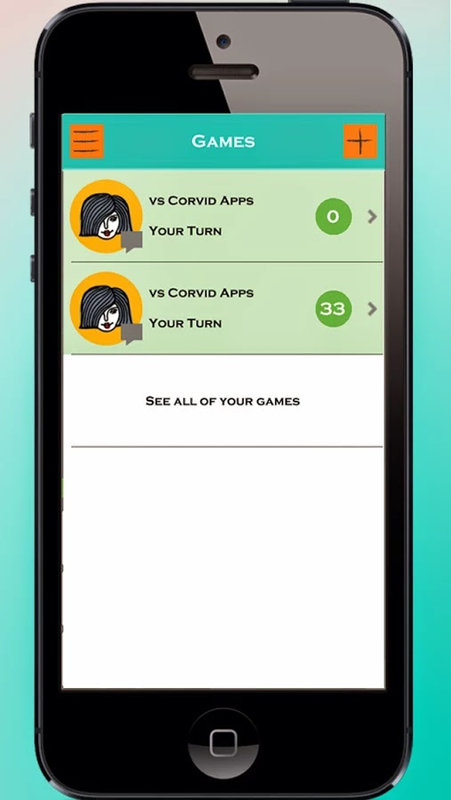 Two player game, heads-up, played over an internet connection. The app requires an internet connection. 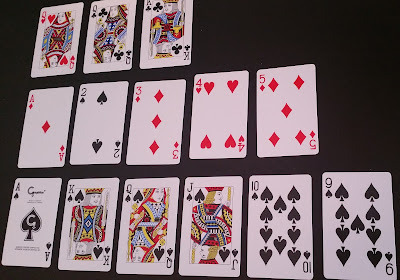 Fantasy Land: Get a great top hand, and you get to set all your cards like regular Chinese Poker while your opponent still only gets to set their cards one at a time. 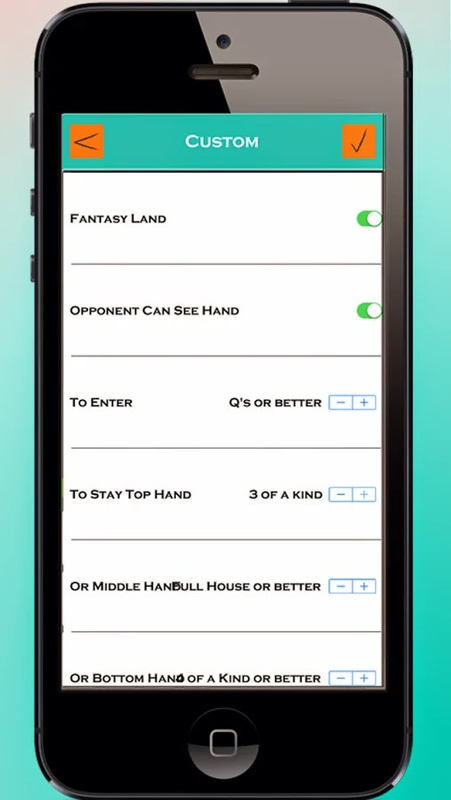 There is also an option that if you lose while in Fantasy Land you are punished, in that your opponent gets to double (or triple, or whatever you set) their points. 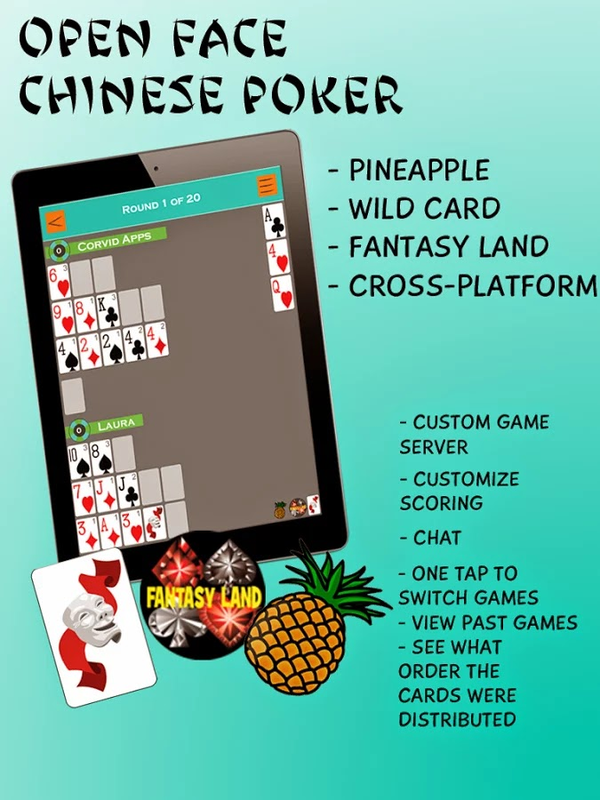 Open Face Chinese Poker is a popular side game that professional and amateur poker players are playing at the poker tables. It is a variation of Chinese Poker also known as Pusoy. Each player will get a total of 13 cards in which they need to set into three poker hands. The bottom hand has to beat the middle hand which has to beat the top hand, otherwise you misset, and do not get any points. Your goal is to not misset, while beating each of your opponents hands. Extra royalty and bonus points are given for big hands, and winning all three hands. 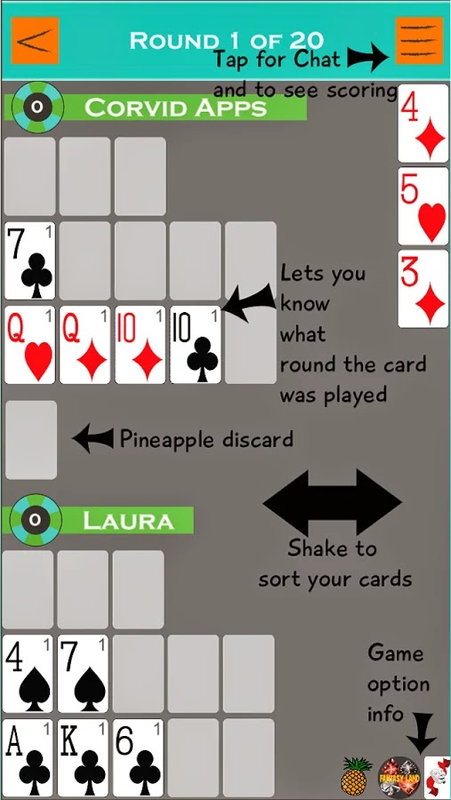 Pineapple is a variation of OFC where you get dealt five cards in the first round, and then three cards in each following round where you set two of the cards and discard the third one. 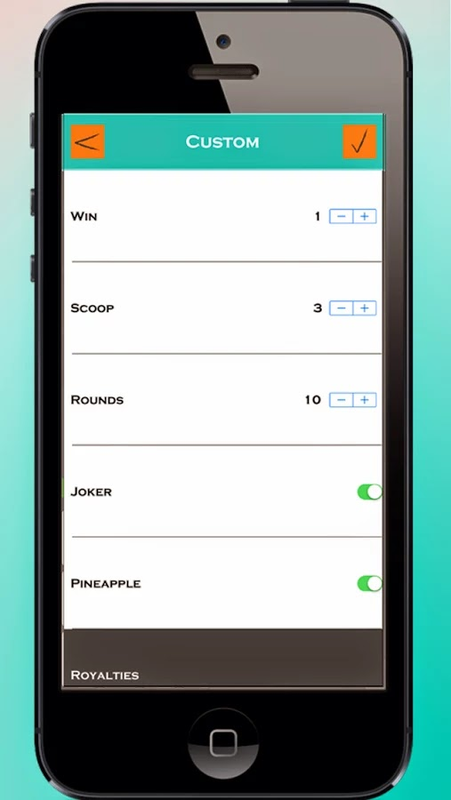 This app also has the ability to add a joker to the deck that acts as a wild card. Place the joker when it is dealt to you, and then at the end of the round choose what card you would like your joker to be. Click here to vote for the next features to be added. Four Color Deck - Added an in-app purchase to change the deck to a four-color deck. Downloadable History of All Games - Added an in-app purchase to download a history of all your games. This is a comma-delimited-file that contains the date the game ended, who the opponent was, and the final score. You will need the password you use to login to the app, to login to the website to download the file. New Weekly Leaderboards - You can now see leaderboards for who has won the most games for the week, and who has scored the most points per round for the week. (Only games that are scored using the standard system are included in the points per round leaderboards). The previous weeks leaderboards are also available for viewing. You must finish at least 6 games to get on the most games for the week board, and you must finish at least 24 rounds to get on the most points per round leaderboard. Tips for the Developer - Unfortunately this app has not been very lucrative. I have made around $5 - $10/hr for the time I have put in, and there are on-going server costs ($600/yr). As long as the app is bringing in more money than it costs I am happy to keep maintaining it (It has been around since April of 2013). If you feel inclined to send me a tip I would be grateful. One tipping option is for a repeat monthly tip of $5. If you sign up for such, you will get all the available in-app purchases for no extra cost, and any future feature upgrades for no extra cost. Status Bar - The status bar on your phone used to be hidden by the app, now it is still visible. The server will be down for maintenance tomorrow from 9:45PST to 11:45PST, thus the app will not be working during that time. I had to remove the free version of the OFC app on Apple because I was getting less sales overall and the extra users were bogging down the server. If you have a group of at least five friends who want to try the app on Apple please let me know and I can make it temporarily available. Sorry the free demo version for Apple is out-of-date and no longer available. 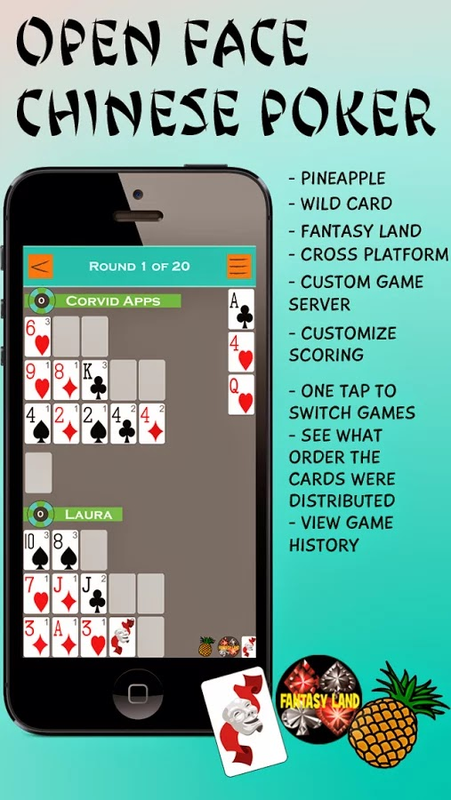 The free version of OFC is now available Android. Enjoy. 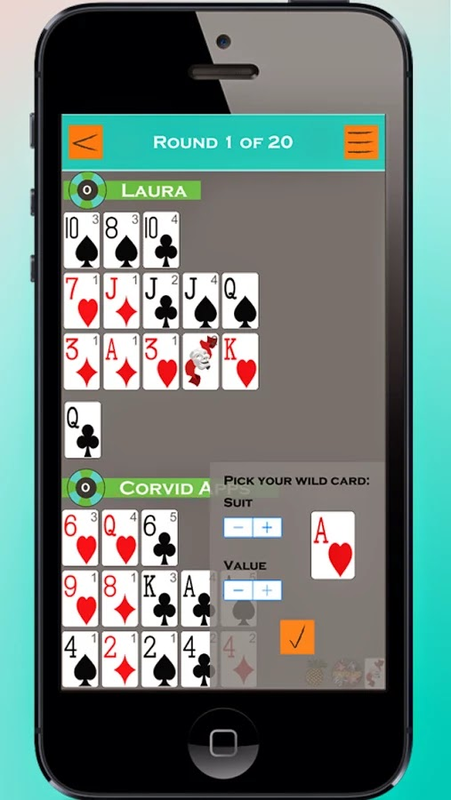 A free version of Open Face Chinese Poker by Corvid Apps is now available on Android. A new version has been released with a new icon and a new look. Available on Google Play, and in the App Store. 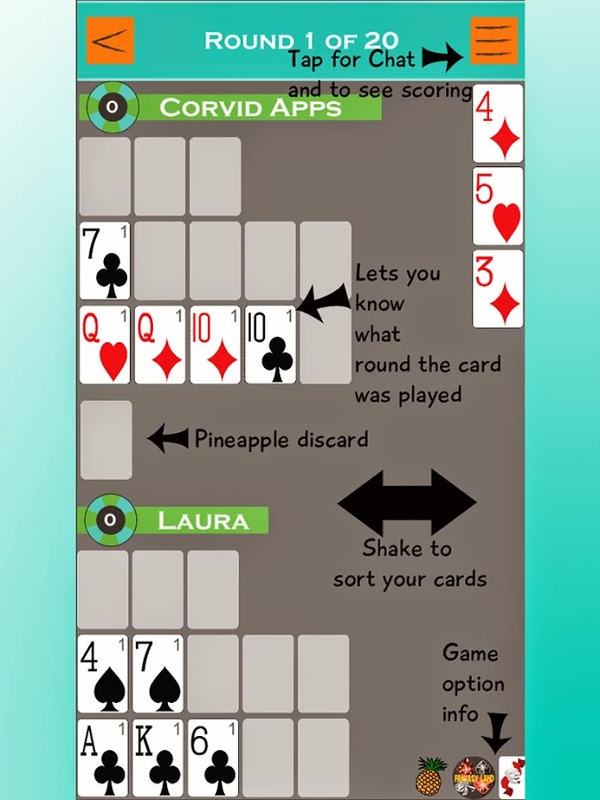 Corvid Apps is a one woman operation. I have been writing software for over 15 years. My husband plays a lot of poker. Copyright © 2013-2014 Corvid Apps. Powered by Blogger.